Slowly but persistently Istria is finding its way on the luxurious real estate market, which is why more and more luxurious villas and apartments are being built. Villas by the sea as well as gorgeous villas in the mystically beautiful inner part of Istria can be found. Especially attractive are the renovated old villas and estates which there are few of and are sold fast. Have a look at our guide for buying houses in Istria – and for all other questions contact us. More about services for buyers! 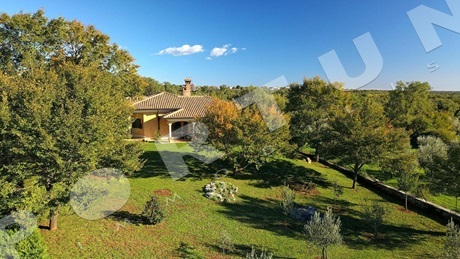 A fantastic villa with pool measuring 217 sqm is located just a few minutes' drive from the sea in the vicinity of Buje. Sea view can be enjoyed from the covered terrrace. 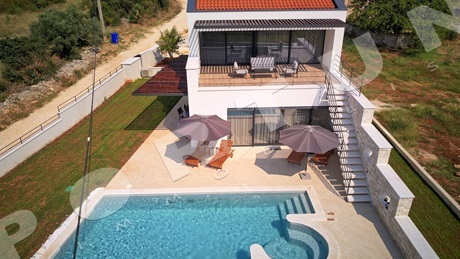 This luxorious villa with pool whose area amounts to 400 sqm is located a few steps from the sea. The villa offers wonderful views of the sea from the terrace. This spacious three bedroom villa measuring 395 sqm lies in a tiny Istrian village not far from Svetvinčenat. The villa offers sea view from the covered terrace. 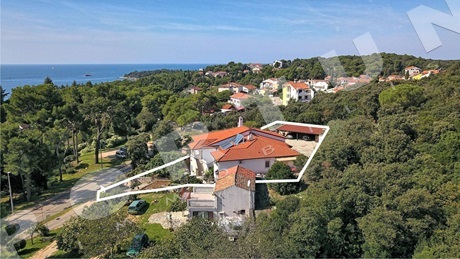 This modern detached villa with three apartments is located a few steps away from the beach in the idyllic Rovinj. The house offer wonderful views of the sea from the ground, first and second floor. 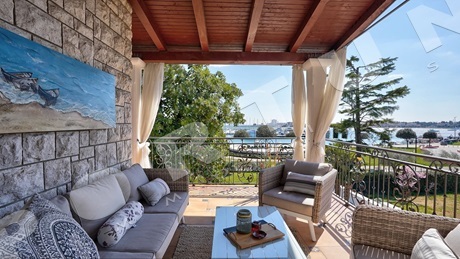 On a hill overlooking the sea and surrounding houses rises this multi-apartment villa, with an atypically huge garden when compared to other villas in Rovinj. Thanks to its elevated position, almost no noise from the street and adjacent houses can't be heard in the house. Such position at the same time offers views over the greenery, adjacent houses, old town and the sea. This luxorious villa with pool is located in a quiet village not far from Vižinada. The villa offers distant sea views from the terrace on the ground floor. This modernly equipped villa with a pool is located in a serene setting not far from Višnjan. The villa was designed for the purpose of renting to tourists and it is awarded with four stars. This modernly decorated two bedroom villa with pool is located in the area of Bale. Sea view can be enjoyed from the pool terrace.